Reporting Source of Income Discrimination when it happens is the only way to end the practice. Check out common phrases landlords use against applicants here. A discrimination case is a personal, detailed account of a situation when you were denied housing because of your voucher or program. To move forward, there must be information on who spoke, the time and date of the conversation, what was said in as much detail as possible, and the address of the unit of interest. Discrimination cases are taken up by the Source of Income Unit at the Commission on Human Rights, and are most likely to result in pre-complaint intervention, or a possible lawsuit. If you have details of a specific time you were discriminated against based on your voucher, fill out the form below. Sometimes, there is not enough evidence from a phone call to prove that source of income discrimination occurred. Perhaps you were told to "call back" or that "nothing was available". In these situations, voucher holders should report the basic contact information, and what was said through the report form. An advocate will "test" the number by calling and asking for the same unit and paying without a voucher. If the advocate receives information that is different from the voucher holder (ex: if they are told the unit is available), we now have more evidence of source of income discrimination, and can move forward with a case, as described above. Often times, voucher holders might have phone numbers of brokers or landlords that have told them "no vouchers" in the past. Do not leave this information alone! By reporting these phone numbers, city agencies such as the Source of Income Unit at the Human Resource Administration can test them for discrimination. Reporting phone numbers requires the least amount of information, and are useful when you do not remember the specifics of the conversation except that discrimination occurred. This is a real time response. A member from the source of income unit will call back the landlord/broker you reported and inform them of the Human Rights Law, source of income as a protected class, and the consequences they will face if they decide to keep the decision to discriminate against you. This can help voucher holders find housing in real time. 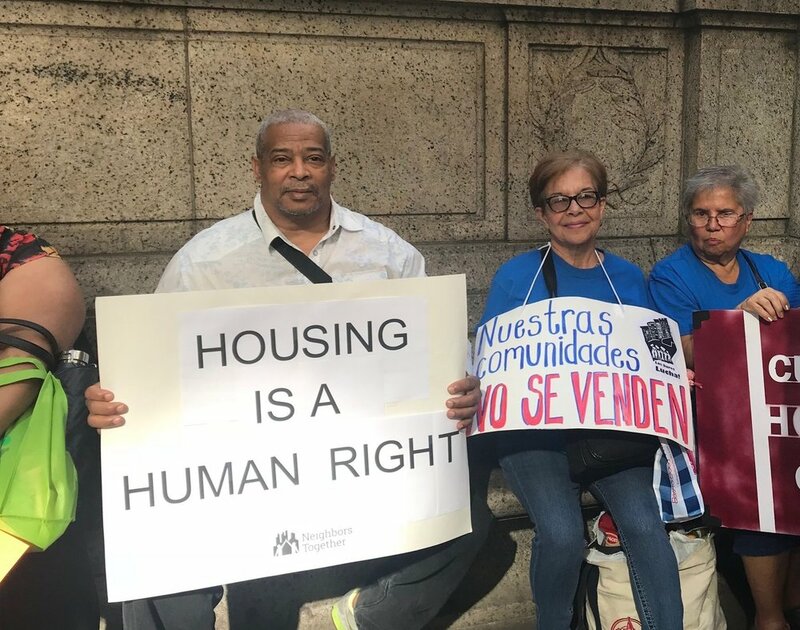 With help from the Commission on Human Rights, voucher holders with the appropriate amount of evidence have the opportunity to take landlords and brokers to court. Attorneys from the CCHR represent voucher holders free of charge. Lawsuits send a message to the housing market that source of income discrimination is not acceptable behavior. Voucher holders also have the possibility of receiving payments in damages from lawsuits.